The twentieth century has seen almost unprecedented economic development in parts of the world, most notably in East Asian countries such as China, Japan and South Korea (as well as in the lesser known case of Mauritius that James Meade himself was involved with in the 1960s). These growth miracles have occurred alongside rapid post-war globalization, with national economies brought closer together in their trade and their financial systems. While many economists would argue that these growth miracles were aided by this opening up of the global economies, others argue that the result of an unbalanced globalization has been detrimental to developing economies’ chances of similar spectacular growth in the future. It is questionable whether the growth miracles can be repeated in a world where national development strategies based on industrialization have been rendered more difficult due to the joint effects of technology and globalization. 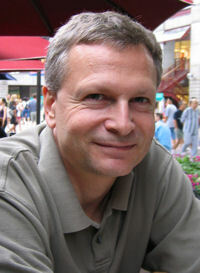 Dani Rodrik is an economist whose research covers globalization, economic growth and development, and political economy. He is the Ford Foundation Professor of International Political Economy at Harvard's John F. Kennedy School of Government. He rejoined the Kennedy School faculty in July 2015 after two years at the Institute for Advanced Study as the Albert O. Hirschman Professor in the School of Social Science.